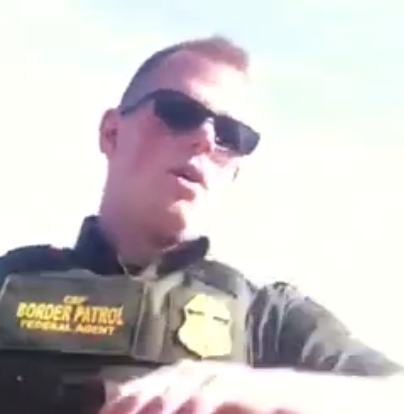 One of the Border Patrol agents at the scene. Two years ago, a scathing independent report by law enforcement experts found that the U.S. Customs and Border Protection agency had failed to fully investigate all 67 uses of deadly force, including 19 killings, by its agents from January 2010 through October 2012, most occurring along the southwest border with Mexico. That report, which accused the agency of a “lack of diligence” in its investigations, put federal officials on the defensive and sparked an internal review. But when the review was finally completed last month, it absolved virtually all the agents in virtually all the shootings. Oral reprimands were apparently issued to two agents, and one case remains open; other than that, no discipline was meted out. Is that reasonable? An agent who killed an unarmed 15-year-old Mexican boy by shooting him in the face after a rock-throwing incident near El Paso, Texas, was cleared. So was an agent who killed a rock-throwing 17-year-old near Nogales, Ariz.
It’s hard to know whether the agency’s decisions were reasonable. Were it not for leaks to journalists, little of this would even be known, because the Customs and Border Protection agency has tried to keep the report’s findings and the subsequent reviews under wraps. The initial report was released only after the Los Angeles Times reported on its existence. And the internal reviews ended a month ago, yet that fact just came to light — and there are still few details available. That opacity is unacceptable in an open society. How can the public assess government actions if the details are hidden? How are Americans to determine whether justice is served when there is no public accounting? Posted: 6/18/15 at 9:23 AM under News Story.